I had this lippy for a good while now, at the first time ever I felt the need to have a dark shade lipstick. To be honest, this one is not that dark, but it's still dark to me. Like I said, I was in the market for something quiet dark and vampy, thanks to Zoe for rocking dark shades last fall, I browsed the web for something that is affordable and in the easy grasp of Indonesian (keep in mind that not many drugstore international brand is accessible here with a good, affordable price). 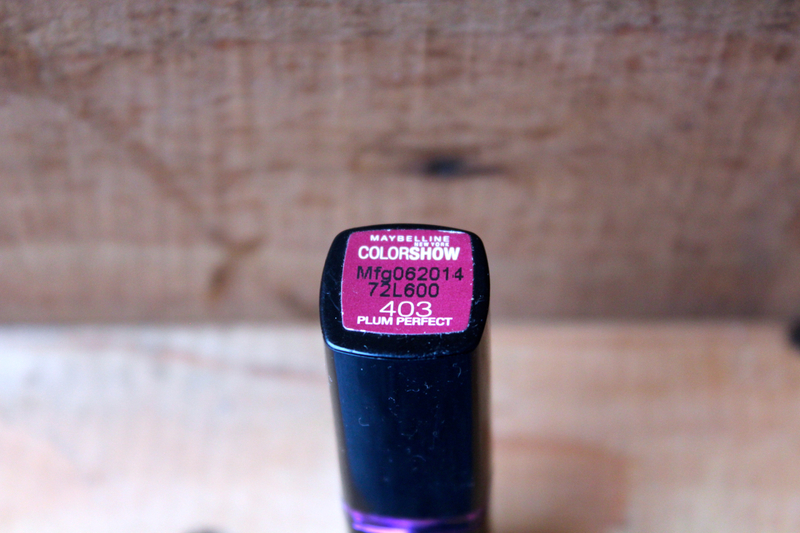 Then I stumbled upon Maybelline's website and immediately go to their Color Show section, because I have seen their display quite a lot in several drugstores and I was amazed that they have quite large selection of colors. I didn't even hesitate and pick this lippy as soon as I saw that it's still available. 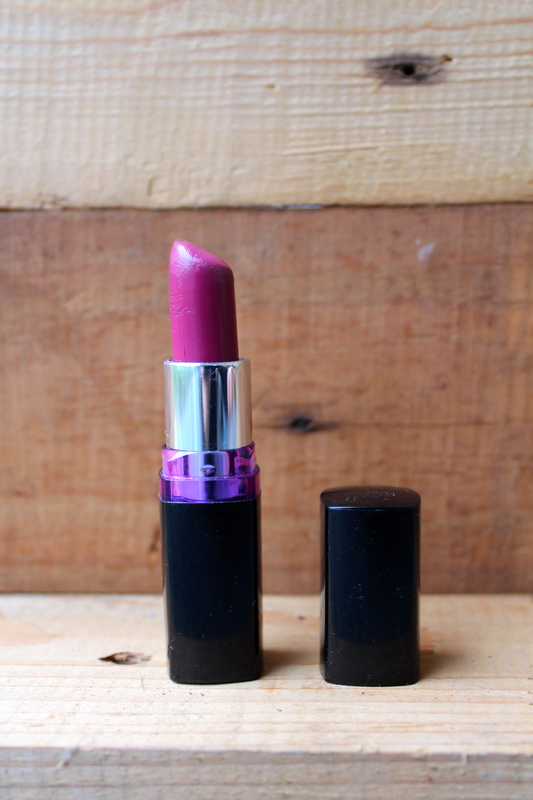 This lipstick is so creamy, moisturizing, pigmented, and the staying power is quite durable. When I put it on it's just glide smoothly and I only needed to apply it once - as in one glide. I wore this for a day out (yes, an all day eating fiesta) and at the end of the day, the color was still there - not as vibrant as the first time you put it on, but to my surprise it's still there! But if you need it to look as vibrant, you only need to tap it along your lips - don't glide, because the second layer will look too heavy (unless you need it to be thick and glossy) - and you're good to go! Now, ... at the end of the day you need to remove all of your makeup, of course.. and this lipstick is not that easy to remove. I usually use wipes and face lotion to roughly remove my makeup then use cleansing oil to make sure my face is makeup free. This particular lipstick can only be remove completely with the cleansing oil and the wipes have no luck (again ... staying power game is strong). To be honest it's so affordable for such a great product. You should probably see if some other colors will make you fell in love.